Julian has led a cross-party group of MPs in writing to Sharon White, the Chief Executive of national communications regulator, Ofcom, to emphasis the necessity of annual monitoring of mobile operators’ commitments on increasing rural 4G mobile coverage. 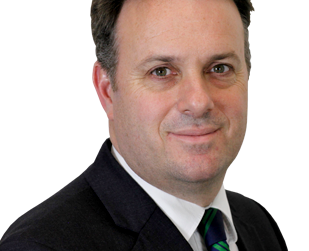 Acting in his capacity as Chair of the All-Party Parliamentary Group on Rural Business, Julian arranged the sending of a joint letter signed by 41 MPs from the Conservatives, Labour, the Liberal Democrats, the SNP and Plaid Cymru. The letter welcomed recent moves by Ofcom to facilitate the expansion 4G coverage across the country. These measures included commitments for 500 new mobile masts in rural areas and securing 90% geographic coverage across the UK. In exchange, Ofcom agreed to a reduction in costs for mobile operators on the upcoming sale of the 700Mhz spectrum. The joint letter also voiced concerns on how the implementation of this expansion will be monitored, as there is currently no obligation on mobile operators to report on successful mast completions until the end of the review process in 2024. It also notes that operators have historically been reluctant to build masts in rural areas due to the substantial costs involved. Julian has led the All-Party Parliamentary Group on Rural Business in campaigning on this issue for over a year, previously writing to the Secretary of State for Digital and Culture, and meeting him in January to stress the need to keep up progress in this area. After sending the letter, Julian said: “Ofcom’s recent commitments to facilitate the much-needed expansion of 4G coverage are very welcome, but need to be given teeth by making provision for annual reporting on progress towards these goals. I hope the group’s suggestions on this are carefully considered by the Chief Executive, and look forward to receiving her reply. 4G is now a basic utility, and yet I continue to see variation in the service available between suburban and rural areas of York Outer.